Danny Stepper is a brand creator, beverage entrepreneur and film producer with 20 years of creating value with blue-chip organizations including The Coca-Cola Company, Disney, and Relativity Media. Stepper is currently the Founder and CEO of L.A. Libations and Globestepper Media. Stepper is the Co- Founder & CEO of L.A. Libations. L.A. Libations is the preeminent entrepreneurial beverage company in North America which was 25% acquired by The Coca-Cola Company in May 2014. L.A. Libations is an emerging brand incubator specializing in brand creation and incubation. L.A. Libations is the Emerging Brand Category Captain of record at Walmart, Kroger, Walgreens and 7-Eleven. L.A. Libations works strategically with The Coca-Cola Company to create and build the next billion dollar beverage brands. L.A. Libations owns 7 companies, grounded in health and wellness, in emerging categories such Aloe Vera, Turmeric, Probiotics and Relaxation, of which the Coca-Cola Company owns a minority interest in each. Stepper started his career and spent 9 years in the Coca-Cola System where he played various roles in sales, marketing and brand management. Stepper made a name for himself at Coke by trailblazing relationships with the world’s largest retailers (specifically Costco, Wal-Mart & Target), creating dynamic teams, and building brands while bringing innovation, entrepreneurialism, and creativity to a 100+ year old business. Recruited out of The Coca-Cola Company in 2003 by Oscar winning Film Producer Lawrence Bender (Pulp Fiction, Goodwill Hunting, An Inconvenient Truth), Stepper produced the Disney Trilogy “Goal!” Stepper financed the projects through CPG companies, a Hollywood first. These landmark deals were with global powerhouses; Adidas, FIFA & The Coca-Cola Company. To date Goal! Is the largest brand & entertainment integration deal in the history of Hollywood and Madison Ave.
Stepper holds an MBA from Pepperdine University, a BA from Westmont College in Santa Barbara as well as international degrees from Collegio Magisterio (Spain) and Instituto De Lingua Espanol (Costa Rica). Danny is bi-lingual in English and Spanish. Stepper is currently on the Board of Advisors at Westmont College in Santa Barbara. Stepper lives in Manhattan Beach, California with his wife Tara and their three children, Annika, Sawyer & Kaia. 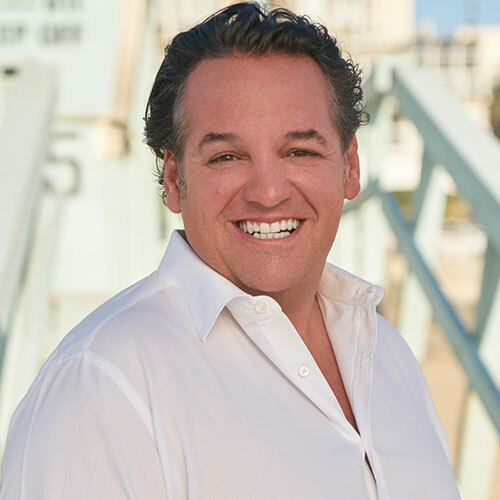 Dino Sarti is the chief executive officer of L.A. Aloe, LLC, makers of Aloe Gloe, and the co-founder of L.A. Libations, the premier national beverage development and sales organization specializing in super premium beverage brands in early phase development. Dino’s professional background includes 20 years of experience in the beverage industry from operations to customer management and brand development. His sales management experience covers every channel of trade and virtually every chain retailer nationwide. He acquired knowledge of complex distribution systems while managing a direct store delivery sales force for Coca-Cola in Southern California. Dino then went on to develop channel specific selling strategies as an account executive for Coca-Cola calling on national retailers. After completing an MBA at Pepperdine, Dino caught the entrepreneurial bug and joined Icelandic Glacial water as vice president of national sales where he played a key role in securing an investment from Anheuser-Busch and then rolling the brand out across the A-B national network. Dino’s tenure in emerging brands revealed a void in the market – early phase brands lack a portfolio approach and do not have the economies of scale to afford or justify a dedicated national team. In addition, large and established companies lack the processes and capabilities for incubating emerging, growth oriented brands. This void in the market and associated opportunities gave birth to the idea of L.A. Libations, a brand developer, and incubator. The L.A. Libations model proved highly successful. L.A. Libations is the category captain for emerging beverages at some of the nation’s largest retailers. In that role, L.A. Libations is both a broker of insights and provider of solutions related to emerging trends in the beverage landscape. Recognizing the strategic value of this approach, The Coca-Cola Company acquired a portion of L.A. Libations in 2014 and is now working with L.A. Libations to develop Coke’s next billion dollar brands. 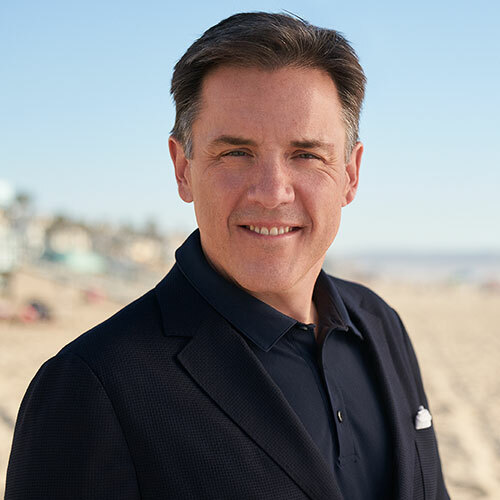 In his current role as CEO of L.A. Aloe, Dino is leading the development the first brand created within the L.A. Libations incubator as grows across the Coca-Cola distribution network in the U.S. This involves building best in class sales, marketing and operations team. Dino is a Southern California guy raised in La Crescenta where he met and began dating his wife, Nancy Sarti, in high school. Dino and Nancy reside in the San Gabriel Valley with their two children, Lauren and Dean. Dino attended USC where he received his Bachelor of Science at the Marshall School of Business and later an MBA at Pepperdine University’s Graziadio School of Business. Dino spends his free time with his family and is also an avid runner and cycling enthusiast. He is a former president of the Pasadena Triathlon Club and a member of YPO and is also a 5 time Ironman Finisher. Patrick Bolden is a business expert with 24 years of beverage experience. Alcohol, non-alcohol, traditional, non-traditional, on and off premise are many aspects of the beverage industry that are familiar to Pat. Pat is the Co-Founder and President of L.A. Libations. After a short stint playing professional basketball, Pat began in beverage by working for 7up / Rc Bottling in 1993. He worked in a variety of different roles there from field sales to operations to national accounts. After 7 years he transitioned to the Coca Cola Company into their trade development department and called on national accounts such as BP ampm, Target, Walmart and Sam’s Club. In 2005, Pat took on a National Account Manager role at Heineken USA. Learning the ins and outs and legalities of the alcoholic beverage industry was challenging but rewarding. This experience allowed Pat to be much better-rounded within the beverage channel but also understand how to create a new approach to being innovative and disruptive. Innovation and incubation continue to be the phases of beverage brands where Pat’s experience shines. His passion to integrate beverages that are centered on health and wellness into mainstream outlets is what drives him to trail blaze in this industry and his results speak for themself. He is a business professional that maintains a proven track record of delivering profitable volume increases, successful product & brand portfolio introductions and coordination of sales execution. Growing up in Inglewood CA, in the shadows of the Fabulous Forum, Pat was a Los Angeles Laker fan. Pat played basketball at California State Northridge University and received his degree in Business Management. He now resides in Dallas TX with his wife Princess and their two boys Parker and Piercen. Born in Paris, France, David Meniane moved to Los Angeles at the age of 18. After obtaining a BS in Accounting and Master’s in Tax Law from the University of Southern California in 2005, he spent two years advising real estate developers and mid-size business owners as a CPA for Holthouse Carlin & Van Trigt, one of California’s leading CPA firms. In 2007, David switched over to the private side of accounting when he was hired as controller for Aflalo & Harkham Investments, a commercial real estate company with $350 million in assets. In less than 2 years, he became Chief Financial Officer and Asset Manager for 27 companies, overseeing the sale of $200 million worth of properties. As an entrepreneur, David, alongside his wife Deborah, founded Victoria’s Kitchen in 2012. Creating this specialty beverage company, he quickly learned various facets of the beverage industry including brand building, commercialization, strategy, distribution, supply chain and operating in a high-risk fast paced environment. After appearing on Season 6 of Shark Tank, the company became profitable in its 4th year and was eventually acquired in 2017. Since 2016, David has been acting as Executive Vice President at L.A. Libations, the official incubating partner for The Coca-Cola Company where he has since put his experience to use by leading the efforts in restructuring Obi Probiotic Soda helping multiply its revenue six fold in one year. David also leads all commercialization efforts for new brand partners and in-house projects with a true focus on discipline and execution. David now touches all aspects of beverage incubation from business development, research & development, commercialization, distribution, price architecture, supply chain, operations, sales, fundraising to overall strategy. Having lead two beverage turnarounds, and his own company for 6 years, he also takes his analytical approach to help struggling brands in growing categories with transforming or rebuilding infrastructure, product and market execution. He is widely recognized in the emerging beverage industry as a true expert in all aspects leading brands from 0 to $10 million in sales. 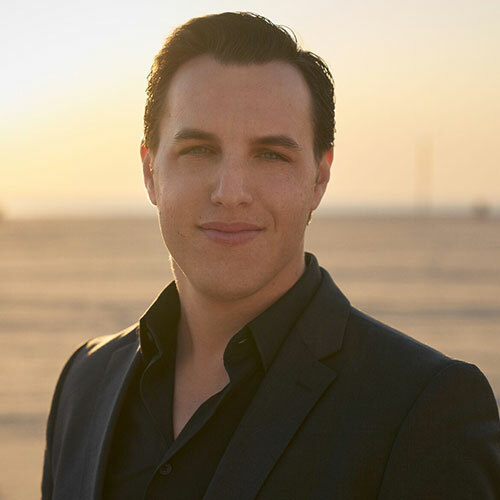 David currently maintains an active CPA license in the state of California and lives in Los Angeles with his wife of 11 years and their beautiful 1-year old daughter, Bella. 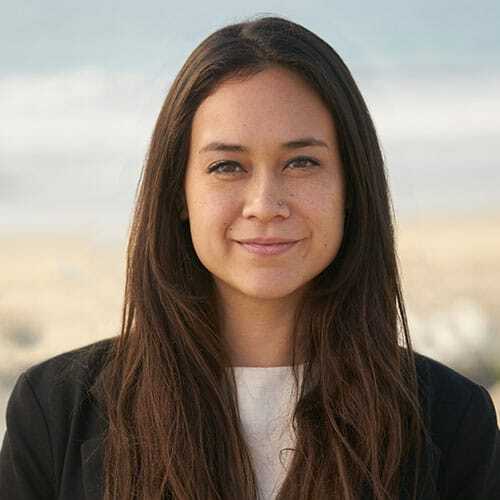 Born and raised in Hong Kong, Bonnie Shah moved to Los Angeles at the age of 18 to attend the University of Southern California where she earned a BS from the Annenberg School for Communications with a minor in Consumer Behavior and Marketing from the Marshall School of Business. Aside from her academic achievements, Bonnie also co-founded and captained the first Women’s Rugby Team at USC which, today, is a Division 1 team, 50 girls strong. Post-graduation, Bonnie spent the first 4 years of her career in Brand Development and Sponsorships building $1M+ activations on behalf of Hyundai Motors America which included Coachella, Comic Con, the X-Games and The Walking Dead premieres. In 2014, Bonnie moved back to Hong Kong to pursue her entrepreneurial drive with the focused intention to build a marketing and distribution company for healthy snacks and beverages. Quickly, Bonnie found herself going out and successfully raising $6M to help build the first young coconut water factory in the Philippines, Eau de Coco. For over 3 years, she played an integral role in kick starting and leading the project within a Business Development position where she managed the design and launch of the company’s corporate branding and sales infrastructure while establishing key operational policies and protocols for the factory. After overseeing the construction of the facility and establishing of a team of 75 employees and factory workers, Bonnie exited the project in 2019. She had successfully navigated the audits that secured the factory’s FDA, ISO, GMP and Organic certifications and brought in leading coconut water brands like Zico and Vita Coco to study the processing of young coconuts in the Philippines. Today, Bonnie remains involved in the project as an active board member. From 2015 to 2017, during the two-year construction period of the facility, Bonnie held dual positions, the second as the Investment Relations Manager for UKF Holdings, a publicly listed company on the Hong Kong Stock Exchange. With UKF, she traveled throughout Asia to host roadshow presentations with the Chairman and built trusting relationships with investment partners from across the world. 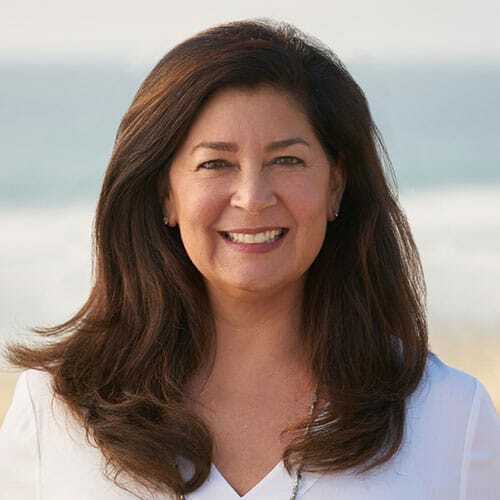 In 2018, Bonnie brought her confident leadership, strong communication skills, collaborative work ethic and keen problem solving to L.A. Libations, an official partner of the Coca-Cola Company and the nation’s leading beverage incubator. As Director of Business Development, Bonnie acts as a gatekeeper, spearheading new business opportunities and validating growth avenues for L.A. Libations. She meets with upwards of 250 brands a year and makes the call about which ones should become part of the L.A. Libations family. She also helps to manage various aspects of the commercialization capabilities offered to both new brands created in-house and to current portfolio brands. 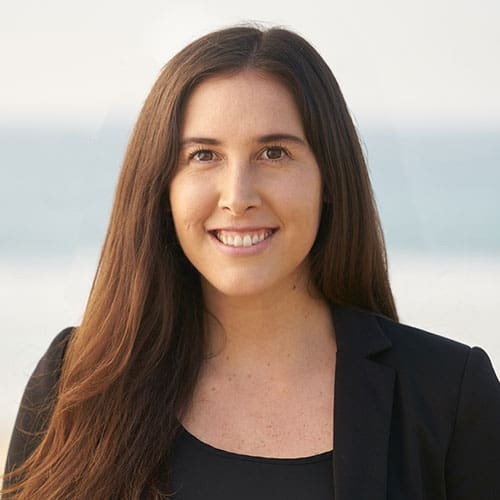 In addition, Bonnie uses her years of brand management experience to finesse the voice and conscience of L.A. Libations by directing and overseeing corporate branding, corporate communication and industry presence. Bonnie is also a licensed yoga teacher and currently lives in Santa Monica, CA with her love of 11 years and their two beautiful pit bull mixes, Hudson and Rook. Born in Los Angeles, California, Robert Macias was raised in the San Fernando Valley and attended San Fernando Valley College. In 1984, Robert started working for Coca-Cola. 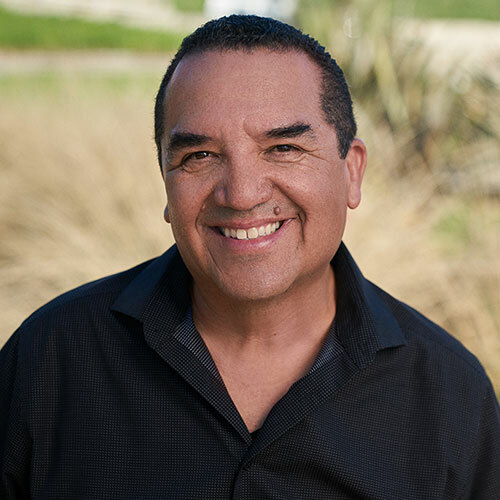 Hired as a merchandiser, Robert was quickly moved to sales where he held sales positions throughout the Los Angeles basin until he was promoted to District Sales Manager in 1990. In 1999 Robert was promoted to Branch Manager, Downey Production Center in Downey, California. From 1999 to 2005, Robert managed the Downey, City of Industry, Ventura/Bishop, Sylmar/Lancaster and the Los Angeles Sales Center. It was in Los Angeles, as the Sales Center Manager, where Robert developed many visionary platforms. Joining L.A. Libations in 2016 as Brand Manager for Arriba Horchata, Robert introduced Arriba to Vallarta Markets in over 33 markets. Since January 2017, he now manages the L.A. Libations Field Team as the Vice President of Field Operations. 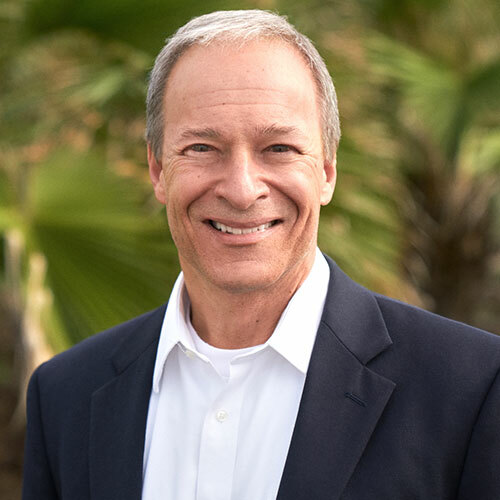 Robert uses his 32 years of experience from his time at the Coca-Cola Company to teach his team the best methods and tactics to become the best in the business. In addition, he quickly mandated the use of Repsly, a tracking system used to help quantify and track the effectiveness of the merchandising strategy. Robert is an active cyclist, kayak fisherman and music fan. He currently lives in Santa Clarita with his wife of 23 years and their son Neil and beautiful daughter Susha. Robert’s has two older sons, Rawley who owns Rouleur Brewery in Carlsbad, and Drew who is a Key Account Manager for Stone Brewing, Southern California. Wade Duke is a high-performing, enterprising sales leader and general manger with broad-based business expertise. 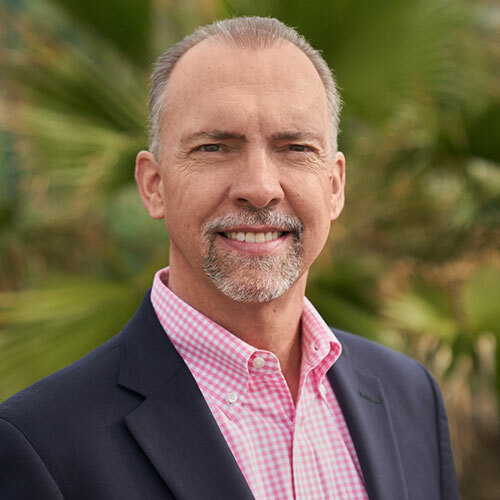 Wade has over 30 years of CPG experience that spans national key accounts, strategic business development, leading people, P&L responsibility, channel development, and organizational design. After graduating from the University of Florida with a degree in Communications, Wade started his career in CPG sales with General Foods. After successful assignments in sales Wade became a District Manager with General Foods in Cincinnati. This started Wade’s career in people leadership and development. After 5 years with General Foods Wade joined Frito Lay in Dallas and worked through a variety of roles with Frito Lay. In 1988 Wade joined Brown Moore and Flint a Dallas based Food Brokerage and became an equity partner in that firm. Wade was Vice President and General Manager of the Dry Grocery Department. Wade helped build the Dallas based Food Brokerage company to become one of the largest food brokers in Dallas. In 1998 Acosta acquired the business. In May of 1998 Wade joined Coca-Cola Enterprises as Vice President of Sales in the San Antonio, Tx Division. After 3 years as VP of Sales Wade was named Vice President and General Manager of CCE’s Mid-South Division where Wade was responsible for all sales and operations. During the time with CCE Wade was also named Vice President of Sales for the North East Region and then Vice President of Sales for the Club, Drug, Mass and Value Channel. In 2008 Wade became President and General Manager of the Kroger Beverage Team. Wade was responsible for all sales throughout the Coca-Cola system. Kroger is Coca-Cola’s largest volume supermarket chain producing over $1 billion in sales revenue and over 180 million eq. cases nationally. As President of this team Wade lead the development of the go to market strategy, drove the business planning process, owned the customer relationships at the most senior level, lead cross functional initiatives, and developed people talent. In 2014 Wade moved to Destin with his wife Debbie. Wade enjoys golf, fishing and traveling. Wade has three sons and a grandson. Raised in Long Island, NY, Glenn Marin relocated with his family to Miami Beach, FL during his high school years. Glenn went on to earn a BA in Business Administration from Florida International University in Miami while working at Publix Super Markets. Upon receiving his degree, Glenn was promoted into the Publix Management Program. Seeking new experience, Glenn joined Best Foods in 1987 as a Consumer Sales Representative for the South Florida Market. 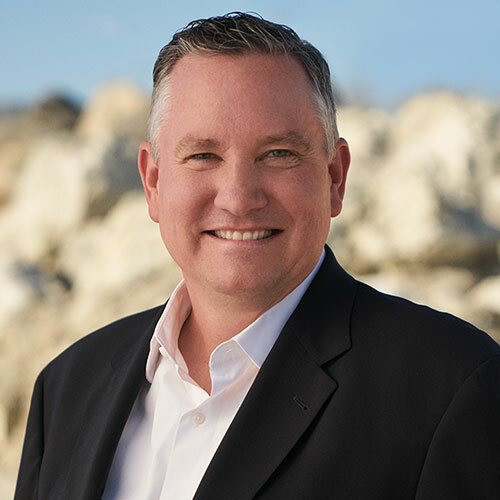 Within a short period of time, Glenn advanced to Key Account Manager for Publix and Winn Dixie Miami Divisions followed by Area Manager for Florida. After the merger of Best Foods and Unilever, Glenn accepted the role as Team Leader-Winn Dixie for Unilever/Bestfoods and relocated to the Jacksonville, FL area. Later, Glenn joined Sara Lee as Sales Manager and opened the Florida Market, rolling out there new DSD fresh bread operation. Here, he found his passion for new, disruptive and innovative brands. In 2008, Glenn joined Icelandic Glacial and met Dino, Danny and Pat. In 2009, with over 30 years of experience managing world class brands, leading US retailers and best in class distributors, Glenn joined L.A. Libations as Director of Sales. At L.A. Libations, Glenn manages national distributors, regional grocery and c-store accounts in the eastern US and is proficiency in many customer web portals and back office systems. Most mornings you’ll find Glenn and his wife Nancy combing the beach in Ponte Vedra Beach, Florida for sharks’ teeth or in the gym. Susan Cordova-Finn is a driven retail professional with a diverse background highlighted by her experience in the warehouse club industry. Shortly after graduating from Northern Arizona University with a B.S. in Business Administration, Susan began her career with the Price Club/Costco Wholesale company. Her wide-ranging Price Club/Costco experience includes roles in Marketing, Operations, E-Commerce and Buying. Her buying experience is in multiple categories including Beverage, Pet, Laundry, Cleaning Supplies, Frozen Food, Lawn & Garden, Media, Jewelry and Import/Export. Susan worked in multiple regions including Northern California, Northeast, Los Angeles and Western Canada, along with a two-year assignment in Costco’s corporate office in Issaquah, WA. This wide-ranging experience gives her a unique, big picture view and understanding of the Costco member. As a Costco buyer, Susan’s passion was teaching/educating her employees and current/potential vendors about the unique philosophy of Costco and how best to succeed within the company. She takes that same passion in partnering with vendors to increase their club knowledge and create the right items that can thrive at Costco. After spending over a decade at Costco, Susan stepped away to concentrate on her family and raising two children. At the same time, she utilized her organizational and leadership skills coordinating school and community programs, and volunteering with local philanthropies, including serving on the Board of Directors for the National Charity League. Prior to relocating back to Southern California, Susan was working in real estate and enjoyed helping families buy/sell their homes. In 2017, Susan joined the L.A. Libations team as their Business Manager overseeing all Costco business. She brings her solid understanding of the wholesale club industry, strong communication skills and collaborative approach to partner with L.A. Libations brands to maximize their potential business at Costco Wholesale. Susan lives with her husband Steve in Hermosa Beach, while her son and daughter both attend Cal Poly in San Luis Obispo. Steve Finn is a transformative business & sales leader with over 25 years of experience in the food and beverage industry in North America. 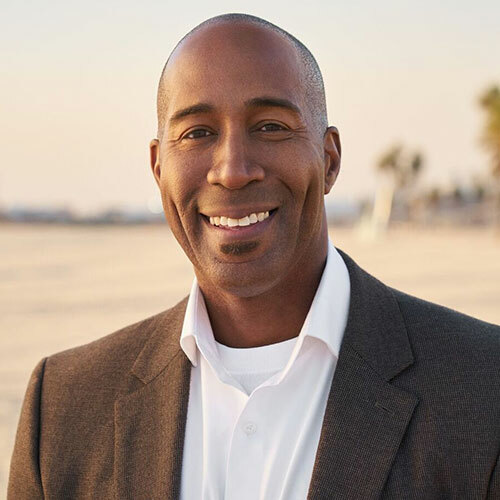 He has worked in both large organizations like Danone and ConAgra, along with smaller entrepreneurial companies like Peet’s Coffee, Sun Orchard Juicery and now L.A. Libations. After graduating from Northern Arizona University with a B.S. in Business Administration, Steve spent two years in Market Research project management, followed by his first sales role at The Pillsbury Company in California. This is where Steve gained a solid foundation in sales fundamentals. After Pillsbury, Steve started a 10-year career at Danone Waters in a variety of Distributor Management, Sales Planning, Sales Team Leadership and National Account roles. At Danone Waters, Steve was an integral part of pioneering the fast-growing Bottled Water category, including the Evian and Dannon natural spring water brands during the 1990’s. In 2002, Steve moved into another fast-growing category, Specialty Coffee at Peet’s Coffee and Tea, renovating their Office Coffee program and launching their Supermarket packaged coffee business. 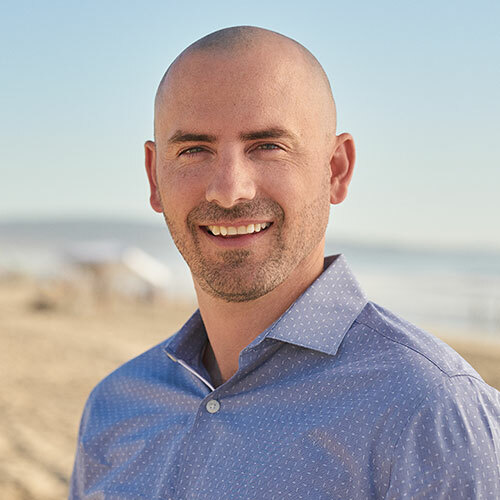 Steve continued to build his channel experience at ConAgra Foods, where he held roles in Sales Leadership from 2005 to 2008 for their Ingredients division, Alexia Foods and the Club Channel, as Costco Sales Director. In 2009, Danone recruited Steve back to the company as VP, US Sales for DWA, a role he held from 2009 to 2015. Steve was focused on re-launching the Danone Water business unit and the Evian business. This included leading a major Route-to-mark shift to a Direct/Broker/DSD model. While in this role, Steve partnered with L.A. Libations on many Sales & Marketing initiatives, building Steve’s interest in the company and team. In 2015, Steve was recruited to Sun Orchard, a national craft juice company, where he worked as SVP of Sales & Marketing, focused on Food Service, until early 2017. Steve now is the SVP of Sales Strategy and Food Service for L.A. Libations using his strategic experience and unique skill set to build and execute winning, multi-channel plans for the L.A. Libations portfolio. Steve lives with his wife, Susan, in Hermosa Beach. Their son and daughter, Josh and Hannah both attend Cal Poly, San Luis Obispo. Trevor Pelletier was born and raised in Southern California. He grew up in the South Bay of Los Angeles and earned his BA in Psychology from San Diego State University. After earning his degree Trevor relocated to San Francisco to begin his career in the beverage industry with Monster Energy. In 2012 he took a position with Evian Natural Spring Water as a Distributor Sales Manager for the San Francisco Bay Area. After five successful years with Evian he joined the team at LA Libations as the Director of Key Accounts. In this role he is responsible for calling on all regional CA chains. These stores consist of premium health and wellness based accounts. Trevor maximizes brand presence for these important retail partners by gaining new points of distribution, aligning on promotional activity, and securing display activity and authorizations. Trevor resides in Hermosa Beach, California, loves snowboarding, and the great outdoors. Originally from southwest Florida, Elizabeth is a graduate of the University of Florida where she received her Bachelor’s Degree in Telecommunications. After college, she moved to Los Angeles and became an event production assistant at Sequoia Productions, who is best known for producing the Emmys and Oscars Governors Ball. Since July 2017, Elizabeth has been a part of the L.A. Libations team as the executive assistant to the CEO. In her spare time, Elizabeth enjoys trying new workout classes, hiking, reading, traveling, trying new restaurants, and spending time with her family and friends.